If you would like a framed presentation product, you can choose from a huge range of colour combinations. Mounts, frames and styling techniques can be seen and selected at appointments, this allows you to customise your end product the way you want it. You can take a look at the Babyprints presentation styles by clicking here and selecting from the various options. Alternatively you can browse through the many photos on the babyprints website and find a framed presentation you like, print it and show at your Babyprints appointment. You can also get ideas by downloading the Babyprints brochure here. Find your nearest Babyprints by selecting from the map, or email Head Office your post code and we will send you your nearest Babyprints contact information. 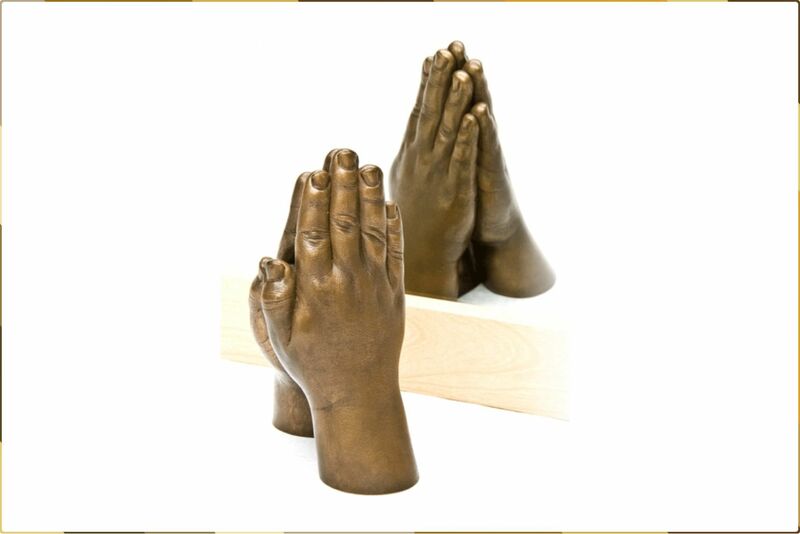 A free standing hand or foot statue is a fantastic way to capture a moment in time. As your child grows up you can always pick it up and relive all the little wrinkles and creases unique to them. The techniques are fully tested and safe for children of all ages. We can do older children and adults too! 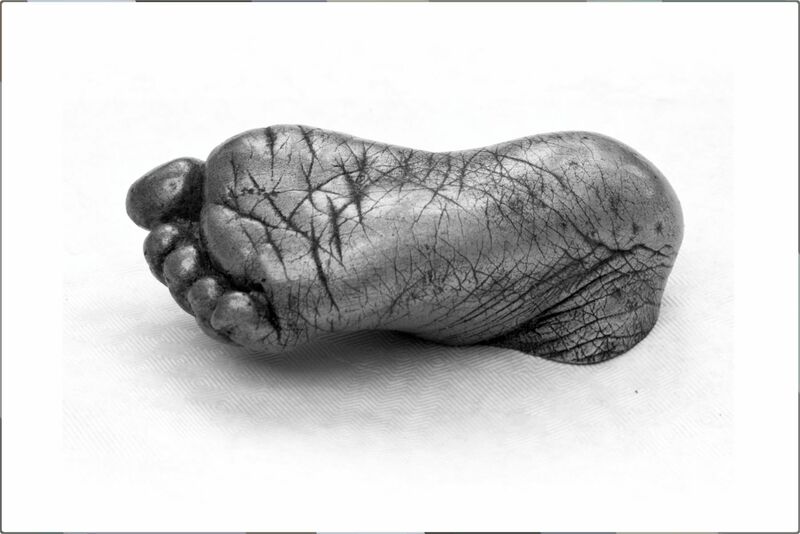 A 3D mould takes approximately 2 minutes for each hand and foot and is entirely safe, your baby/child will have their hands or feet dipped into a warm mixture which then becomes firm (but flexible), after a minute or two the hand/foot can easily slide out – which incidentally comes out clean. The mixture is a natural product, made from seaweed, and is non-toxic and biodegradable. 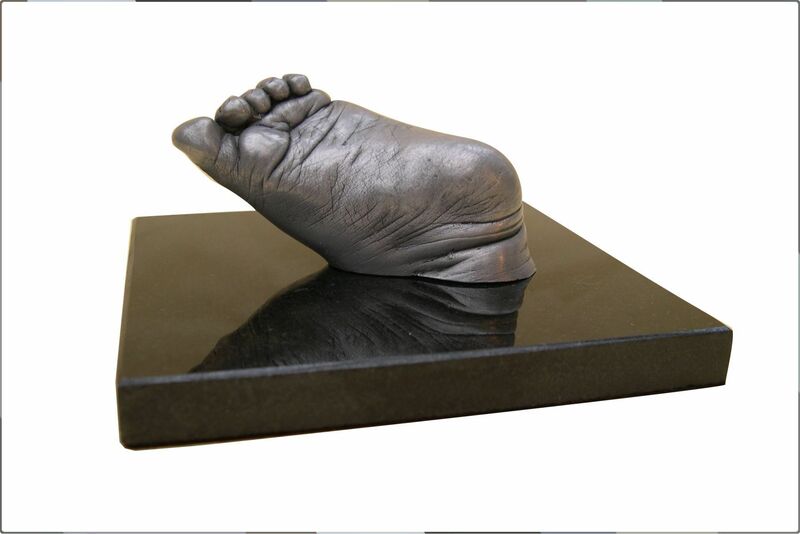 Babyprints have taken solid 3D casts of babies from just days old and there is no age limit, grandparents are very keen to have their hands casts with their precious grandchild. For impressions, we use a very soft terracotta clay, It is pain free and takes literally seconds to do. 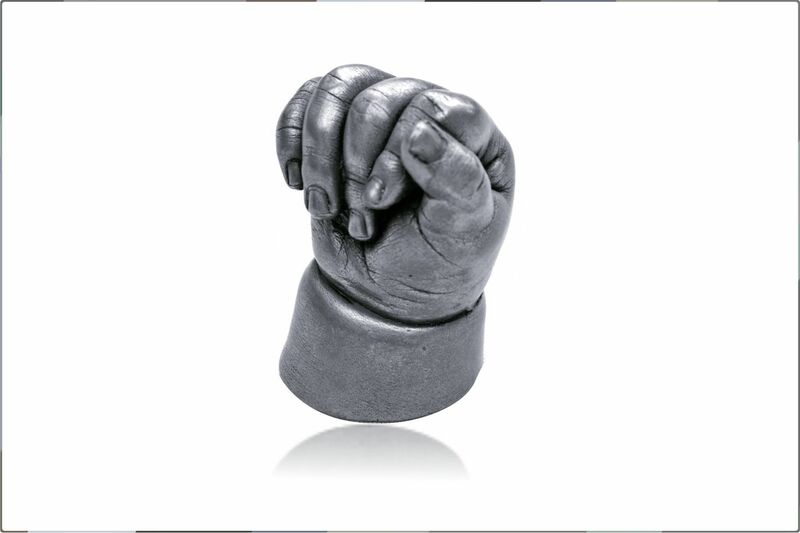 We recommend casting from 3-4 weeks old for impressions. Babyprints usually allocate half an hour for appointments, but sometimes for multiple orders we need a longer appointment. Once we’ve taken the cast or impression, the completed order is ready in approximately 3-5 weeks. If casts are required urgently, it may be possible to arrange for them to ‘fast tracked’ but additional charges may apply. The magic is in the finishing, Babyprints are expertly trained and finish all products to the highest standards. 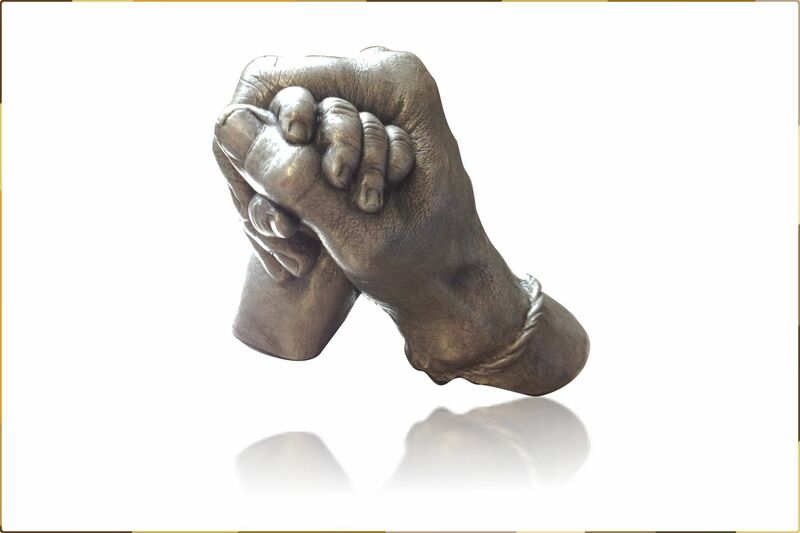 From the mould and intricate detail of each hand and foot cast to the top quality styling and frame choices, When looked after, your final unique keepsake will stand the test of time. 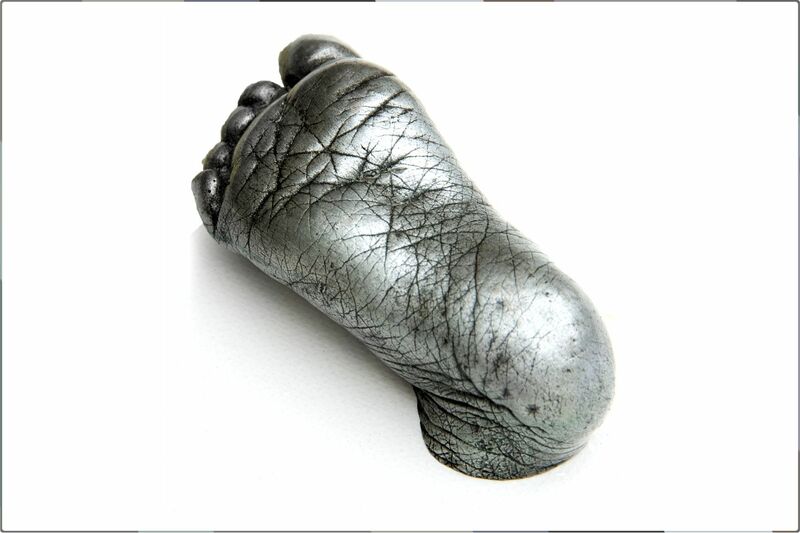 Each timeless unique keepsake will always bring back those precious memories - what will your little ones hands and feet go on to acheive!